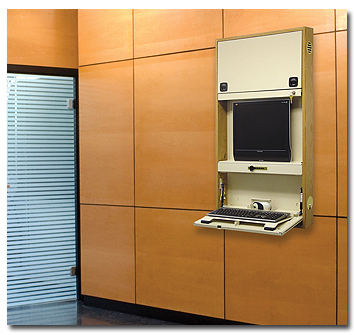 Charts & Carts wall desks are the perfect solution for your EMR storage and patient privacy needs. Our versatile work stations as plenty of space for flat screen monitor, CPU, keyboard & mouse. SKU # CWD-1490, Our flagship model!